Click your school to order spirit wear! ¡Haga clic en el nombre de su escuela para ordenar vestimenta escolar! 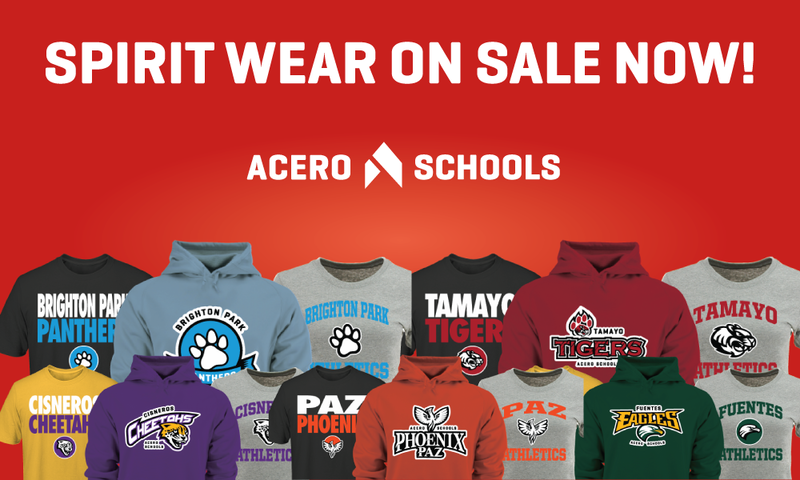 For spirit wear with the Acero logo, visit the network's store.